CONTEST: WIN A PAIR OF TICKETS FOR OUR SHOW AT THE CAMPING METAL 2012! All you have to do is send us a private message with your name and e-mail address. The subject of your message must be “CMF3 CONTEST”. We are playing on saturday August 25th but these tickets gives you access to the whole week-end. 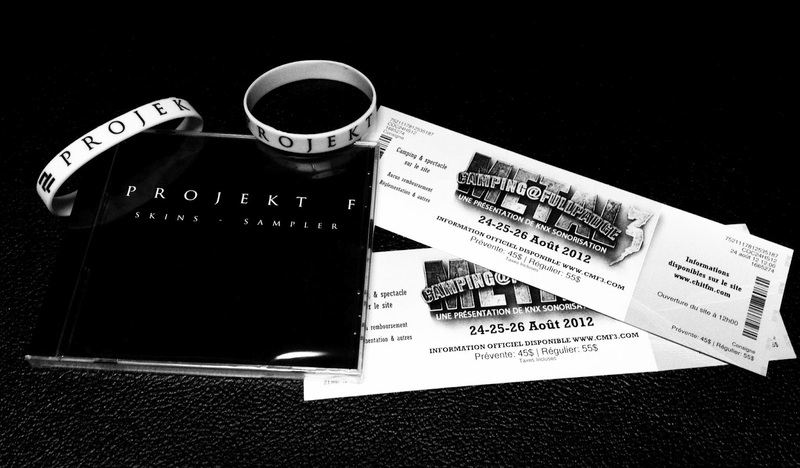 In addition to the tickets, you’ll get one of our very limited 3 songs sampler of our new album “skins” and 2 Projekt F wristbands (a total value of 100$). The contest is open to Quebec residents only and will end on friday, July 20th. We’ll announce the winner on monday, July 23rd. Good luck!